The November elections demonstrated huge successes for the Democratic party. In Virginia, Governor-elect Ralph Northam won by almost nine points, and fellow Democrats Justin Fairfax and Mark Herring, an incumbent, won the other two statewide races. In New Jersey, Democrat Phil Murphy defeated his Republican rival for governor by over 13 percent. These statewide Democratic victories and sweeping local wins around the country sent a very clear message to political observers. Although a year away, the 2018 midterms are now of top concern for both the Democratic and Republican parties due to the major shift in representatives in the Virginia House of Delegates. Before this election, Republicans rested comfortably in control of the House, with a 66-34 advantage over Democratic delegates and needing just one more seat to achieve a supermajority that could override the governor’s veto. Along with winning three statewide offices, however, Democrats flipped more than a dozen seats in the House of Delegates – far more than even the most optimistic polls predicted – resulting in Democrats controlling 49 seats. Two remaining seats are still being decided by recounts, including Fairfax’s District 40. If both of the Democrats’ recount efforts fail, the House will remain in Republican control, 51-49. Mason’s very own Democrat organization was heavily involved in Virginia campaigns this fall. Although highly in tune with Northam’s campaign from the start, not even the George Mason Democrats expected such a high margin in final results, and what surprised them even more was the amount of seats gained in the House. “Going in, we predicted that we would flip maybe seven or so seats, but being able to flip 15 seats with the potential of a few more – that is truly amazing” said Camden Layton of George Mason Democrats. As the first big election since Trump’s inauguration, many members of the Democratic party view this victory as a political turning point for not only Virginia, but the nation as a whole, where Democrats have lost over a thousand seats in both federal and state governments during the Obama administration. One major argument for the 2017 election as a change of fortune for the Democratic party is the fact that Northam’s victory marks the largest margin between the Democrat and Republican parties since 1985, with a final tally of 54 to 45 percent according to the Virginia Department of Elections. Democratic turnout was also on the rise in 2017. In Virginia, Democratic voters came out in record numbers, with an eleven point lead in party identification at the polls. On the other side, only 30 percent of voters identified as Republicans – a 21-year low. However, some evidence does not support the assumption that the House of Representatives is now up for grabs between the two parties in 2018. Virginia has proved to be predominantly Democratic for the last three presidential elections, and with Northam’s election, four of the last five governor elections. Most of the House of Delegates’ seats that changed party control in 2017 also voted for Hillary Clinton in 2016, further suggesting that last month’s wave of Democratic victories was not as sudden or unexpected as they first appear. 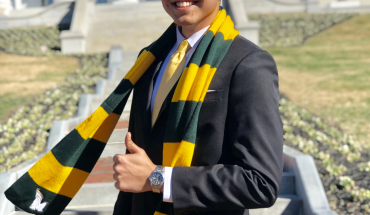 George Mason Democrats are aware of the effect this election has directly on Mason students and have high hopes for Northam as he takes on this new position, and stand behind him as he takes on his new position as Virginia’s Governor. 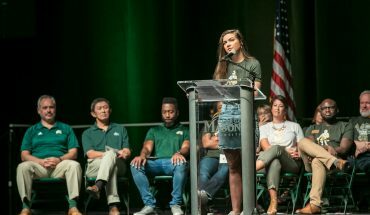 “Having a voice supporting the issues of student debt and rising tuition, I think it will truly help the pockets of many Mason students” Layton said. The Northam campaign’s education plan included a “Four-Year Promise” as a guarantee against tuition hikes for students and families. Although there is no way to tell for certain which direction Virginia is headed for the 2018 midterms, tensions continue to rise between the two opposing parties. “Virginia has told us to end the divisiveness, that we will not condone hatred and bigotry,” Northam said in his election night victory speech at Mason. “It’s going to take a doctor to heal our differences. And I’m here to tell you, the doctor is in!” said Northam, followed by cheers from the roaring crowd of supporters. Olivia Vermane is a freshman Communications major with a concentration in journalism. 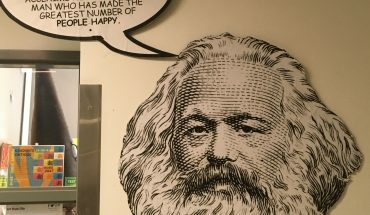 She is currently a staff writer for IV Estate, and besides her work in student media, she is also a Telecounsler in the Office of Admissions, a member of The Gathering Christian fellowship on campus, Mason Ambassadors, and GMU Roosevelt Institute.